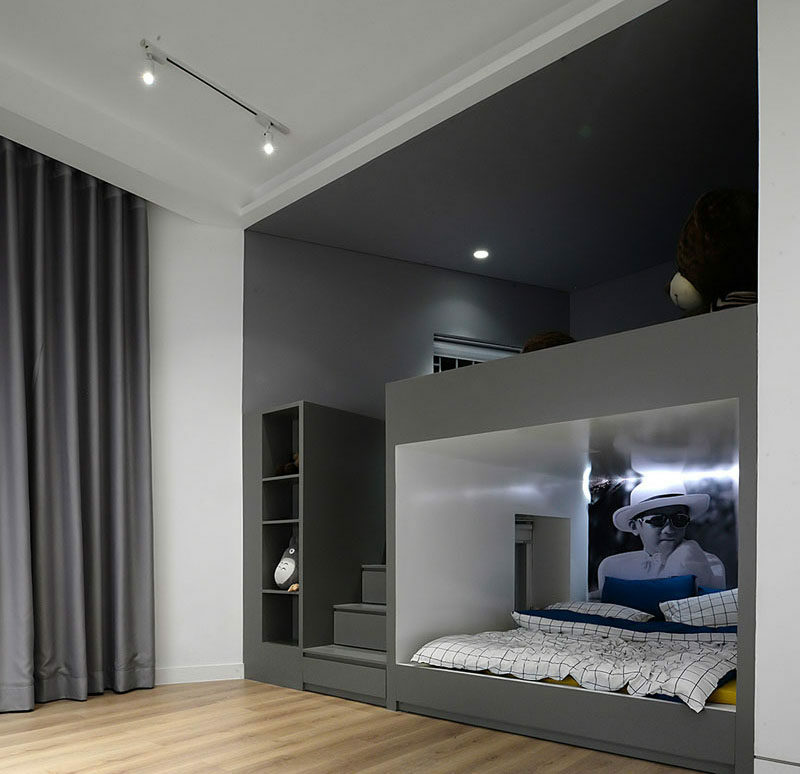 Minimal Design, have completed their latest project, and as part of the interior, they created a kids bedroom with built-in furniture. 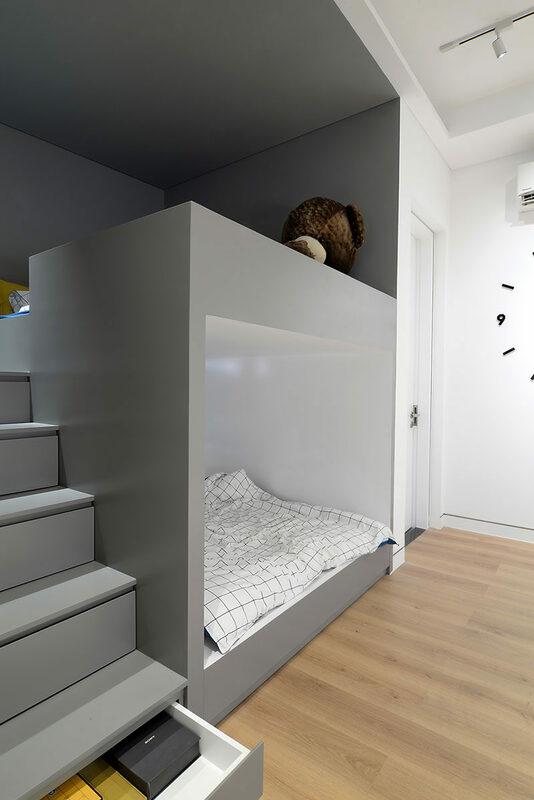 Along one side of the bedroom is a grey alcove that’s home to built-in bunk beds with stairs leading to the top bed. Hidden within the stairs are storage drawers, and beside the stairs is a small bookshelf. 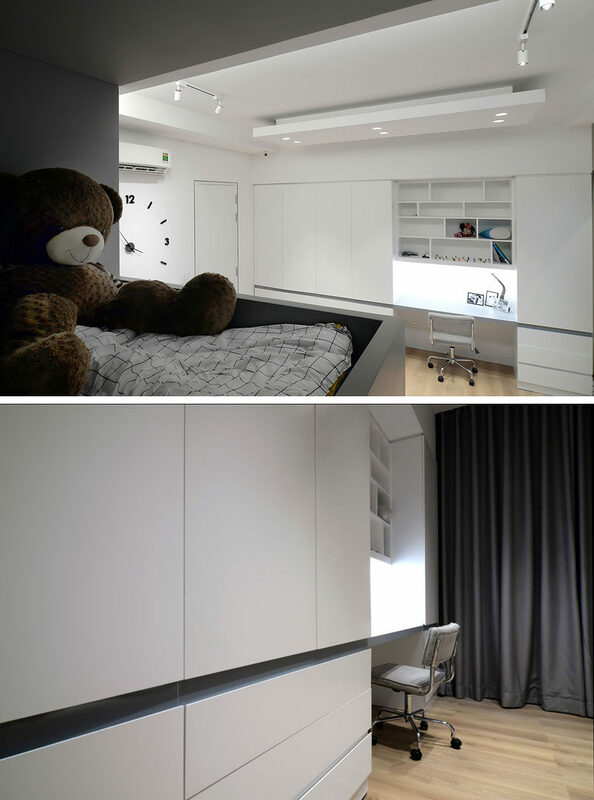 On the other side of the room, the designers lined the wall with minimalist white closets and drawers. A section was left open to house a desk with hidden lighting, and above the desk is further shelving. By lining the walls with built-in furniture, it allows the center of the room to be left as an open play space.